Dr. Stephen Reich, a well-known forensic psychologist who is also an attorney, is the founder and director of the New York-based Forensic Psychology Group and one of the most experienced psychological expert witnesses in the United States. He and his associates have been retained by law firms throughout the country and internationally, and have provided diagnostic evaluations and testified in a number of groundbreaking cases. 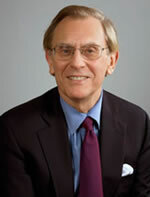 See Dr. Stephen Reich's Profile on Experts.com.